Any sign, any time! 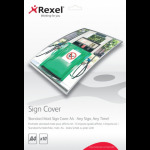 The SignMaker outdoor UV sign cover creates instant UV protected signage by heat-sealing with the SignMaker machine. 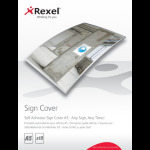 The material helps to reduce the effects of UV light and helps to preserve colour for signage outdoors. A gloss finish enhances colours. 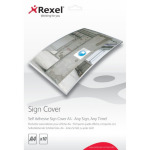 Download and print signs from www.rexeleurope.com/signmaker. 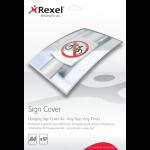 - Create Any Sign Any Time!